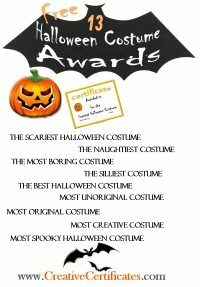 These free printable Halloween costume awards are fun to give out at costume parties or to friends on Halloween. 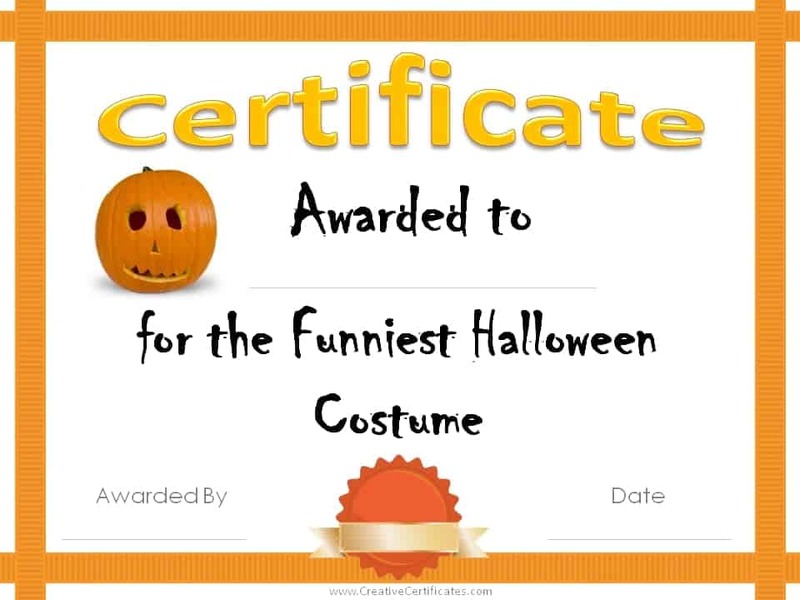 They can be customized online before you print. 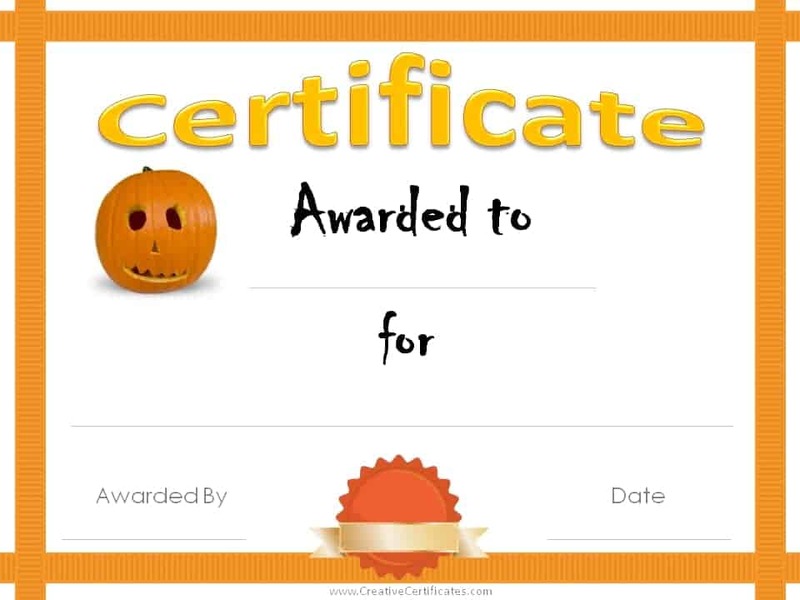 If you prefer you can print a blank award and fill in the details in your own handwriting. 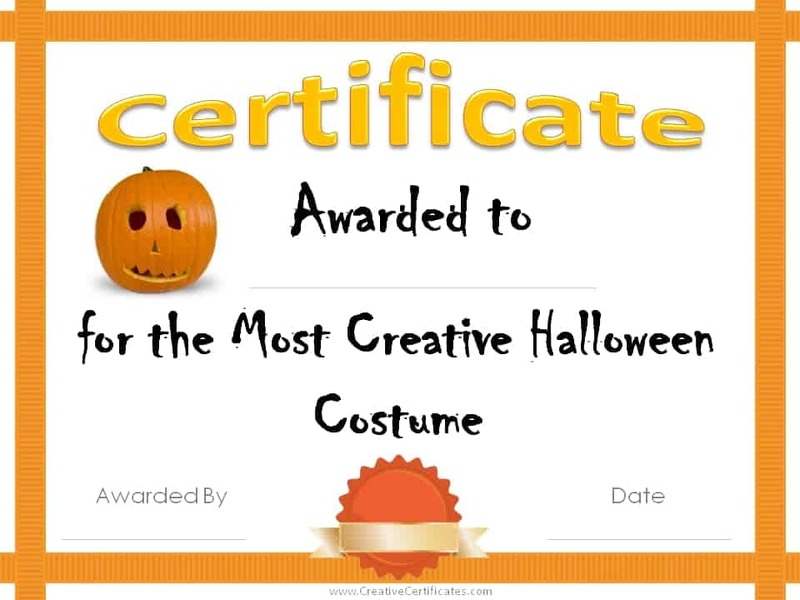 You can also add a photo of the recipient in costume. 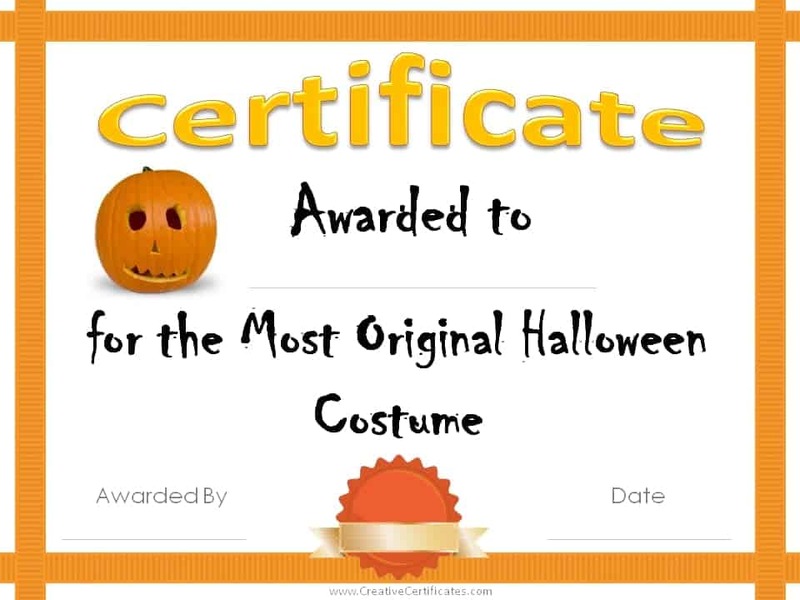 If you are having a costume party then feel free to print matching Halloween invitations and Halloween cards. There are 12 different Halloween awards and one blank one with which you can create additional awards. 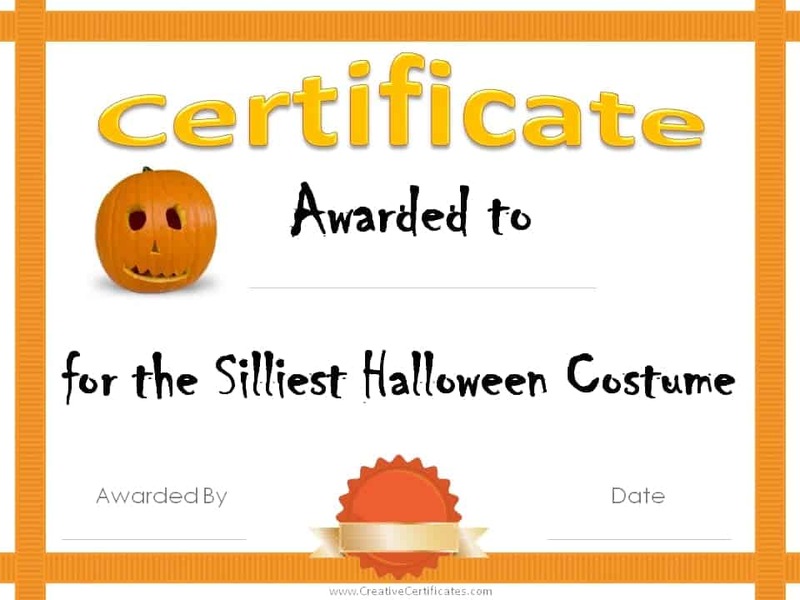 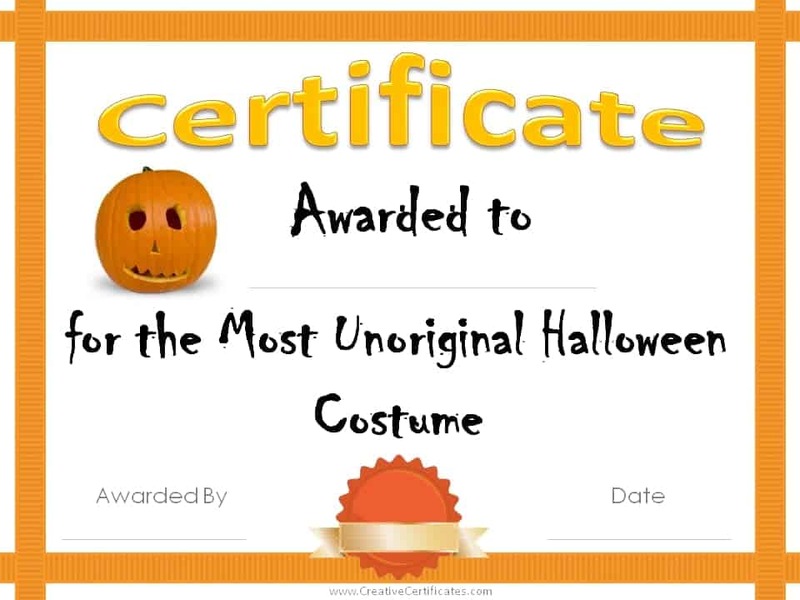 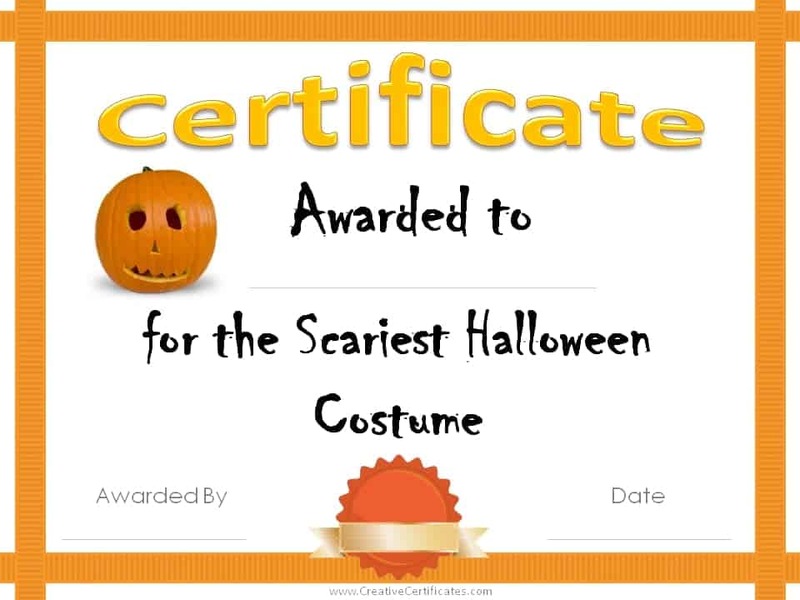 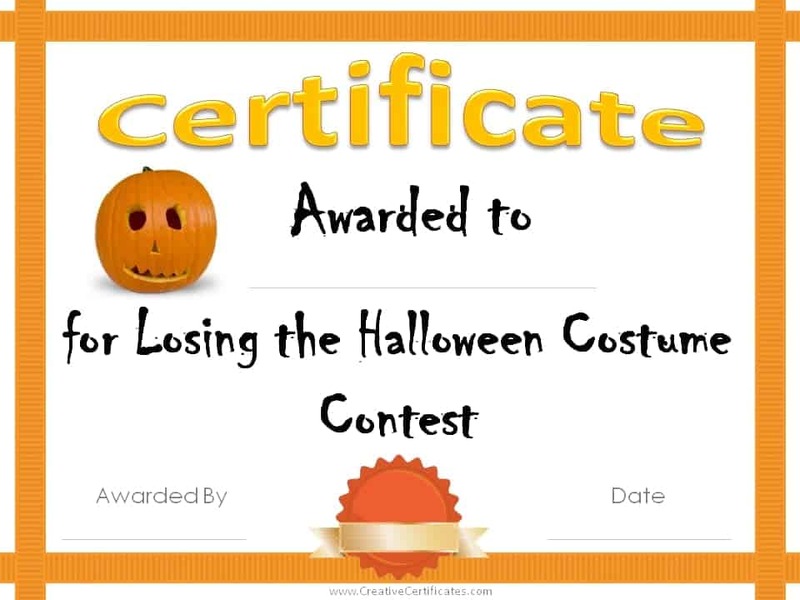 If you have an idea for another Halloween party award certificate feel free to comment below and I’ll add it to the collection! 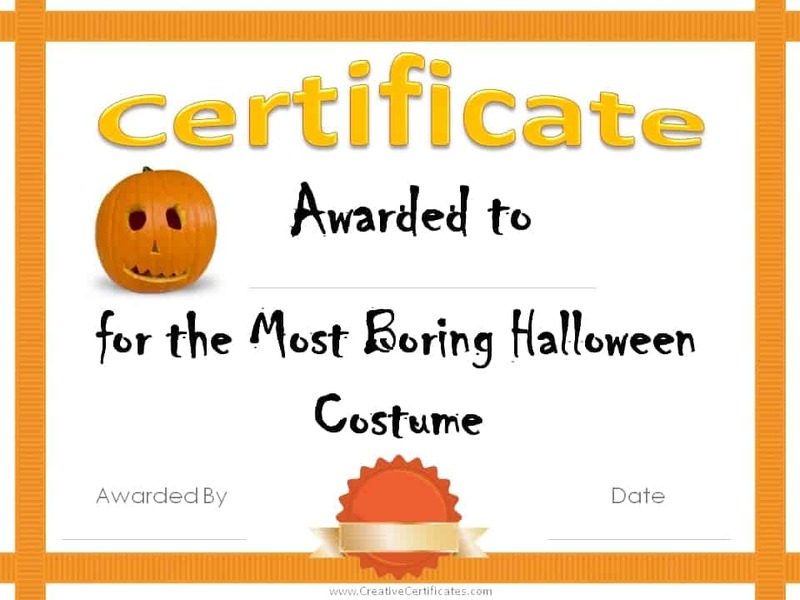 Looking for fun ideas for your Halloween Party? 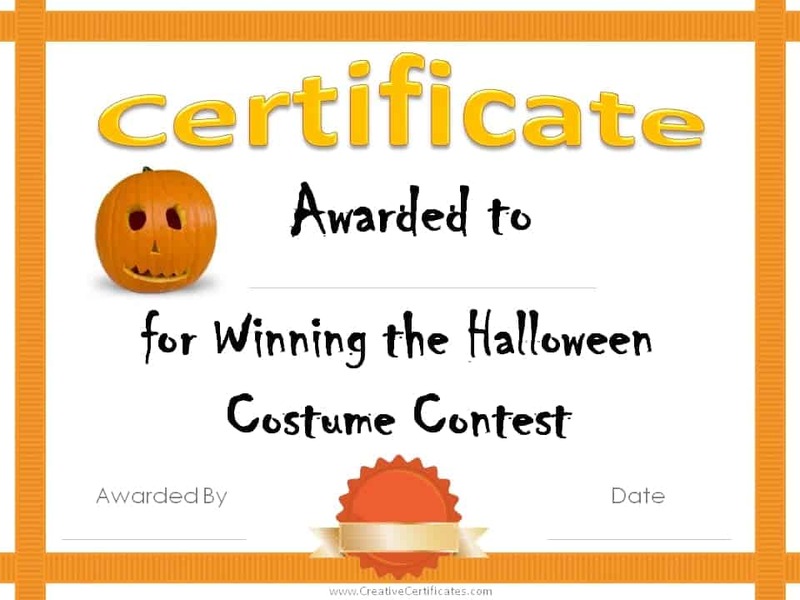 Check out the Halloween Minute to Win It Games with free printables!